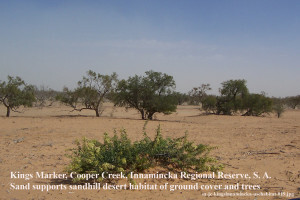 Desert sands support desert habitat on Strzelecki Desert sandhills abutting Cooper Creek floodplain at Kings Marker, Innamincka Regional Reserve, South Australia. 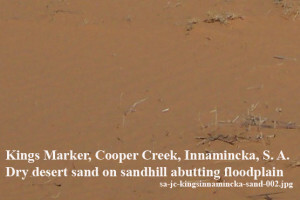 – damage possible to limited vegetation cover protecting sands from tourists and 4WD vehicles. 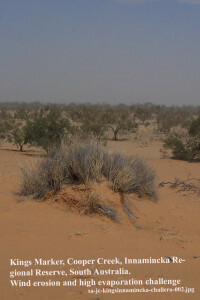 – Stock grazing does not take place in this reserve. 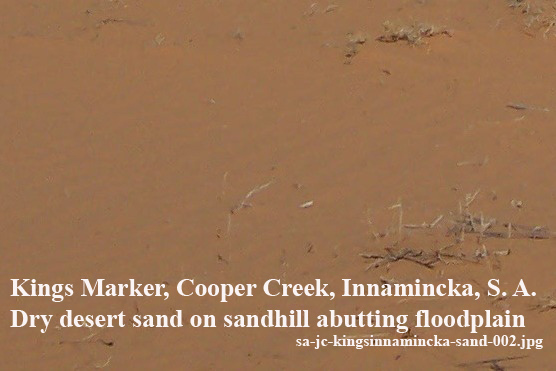 – Access roads closed after rain. Visit the Calalloo Creek Soil Selfies, in Outback New South Wales, Austalia, for a sandy soil which is able to grow large River Red Gum trees.